Bubbles Bubbles everywhere! 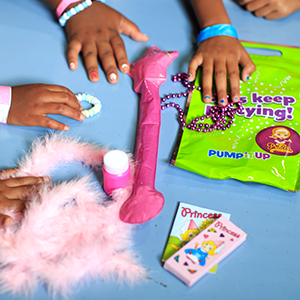 Make a grand entrance with bubbles at the beginning of your party, or surprise your guests with bubbles just before playtime ends! Either way, you're adding some fun for all ages! 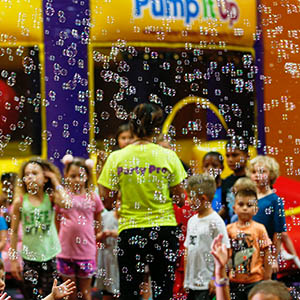 10 minutes of bubbles in one of our play arenas to make it special! Make it an extra special moment when the kids' favorite character arrives! Characters spend 30 minutes in your party. 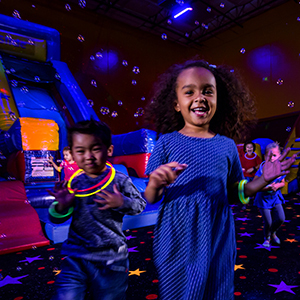 They arrive in time for a group photo at end of play time, and join the Guest of Honor in the party room for Happy Birthday song and great photo opportunities with your friends & family. Call for availability! Take their Glow experience to the next level by adding glow in the dark balloons. Added the GO GLOW! 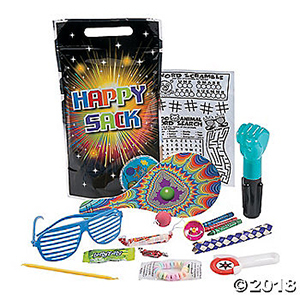 Party experience? Add the thrill of 100+ balloons falling from the GLOWING sky to your GLOW party! 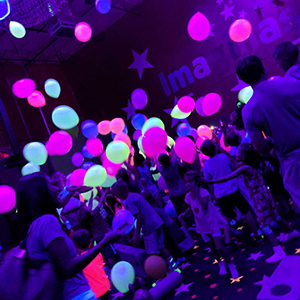 We offer Glow balloon drops in our 2nd arena - make it a grand entrance, a mid play time surprise or the grand finale! Glow Balloon Drops are available for any GLOW private party - just let us know when you're confirming your party details! Must have GO GLOW! Party experience added for balloons to glow. Add the thrill of 100+ balloons falling from the sky to your party! 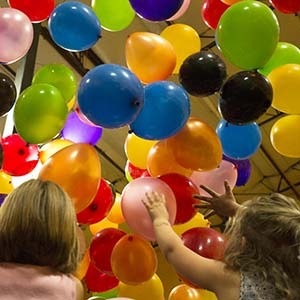 We offer balloon drops in either of our 2 arenas - make it a grand entrance, a mid play time surprise or the grand finale! 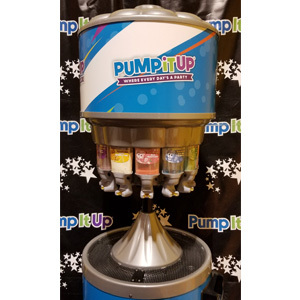 Balloon Drops are available for any private party ($50) - just let us know when you're confirming your party details! 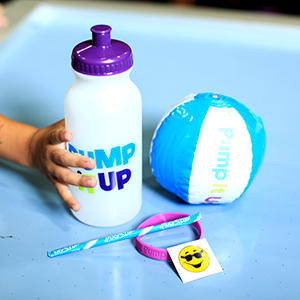 Glow In The Dark Pump iT Up Water Bottle stuffed with Mini Goodie Bag contents - you can add your own personal items too!